Make Money Online Reviews Idea Profit Storm: Storming to Success or a Storm in a Teacup? Idea Profit Storm: Storming to Success or a Storm in a Teacup? There comes a time in any internet marketers’ online journey, when promoting other peoples products starts to wear thin. Sometimes it is a case of wanting to get 100% of the profit rather than a commission, or because you want to promote better products to your followers. Sometimes it’s just because you got bored! 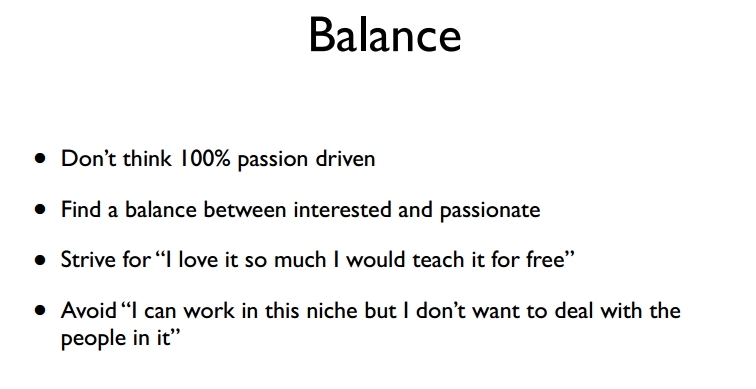 Whatever the reason for the switch in mind-set at some point you will want to start making your own products to sell. I know for a fact that it isn’t an easy process. You might think that you have the best idea since sliced bread, but after weeks or even months of toil and hard work, it doesn’t sell. After I stumbled upon John Koen’s latest product, Idea Profit Storm, I had to check it out to see how he handled product creation and whether there was anything of worth in it. Note that this product focuses solely on information products such as e-books. Nothing amazing in the sales pitch, he keeps it toned down with absolutely no profit earnings proof, barring a look at his own empty Click Bank account. This lack of hype is always welcome, and makes me hopeful for a decent product. The product is sold on its own website but via ClickBank and will cost you $17 bucks. There is a single upsell which is an extension of the main product with more hand holding and an over the shoulder case study. It will set you back a further $27.00. 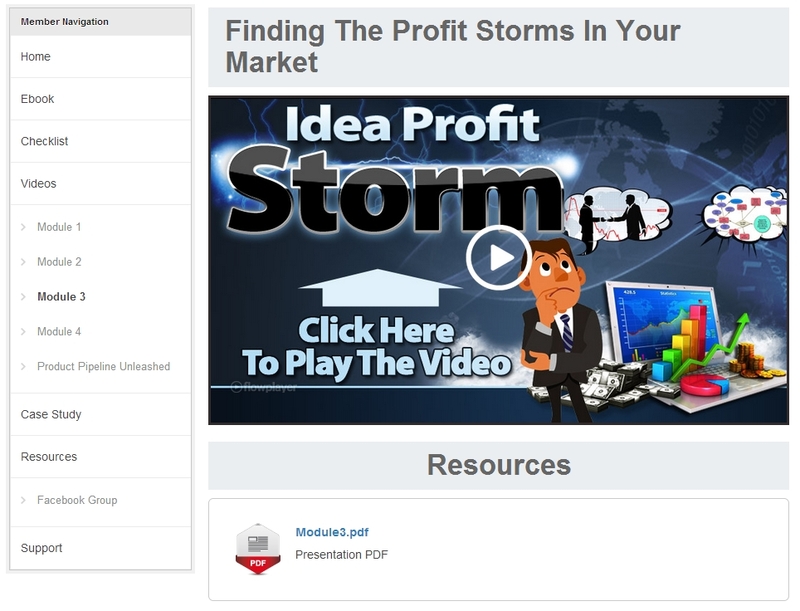 Idea Profit Storm is a (one-time fee) membership site. Inside you will get access to two PDF files and four modules of videos which come to 11 videos in total. The PDF files were not much to talk about: a check list and a short 8 page e-book outlining some of the video content. The videos are quite short, averaging at about the 6 to 7 minute mark. Each video also comes with a small PDF file that outlines the video content in brief: useful as reminders when you don’t have time to re-watch the video. The video quality was good: the sound was audible and while the video couldn’t be made full screen it wasn’t a problem for most of the videos. There is only a single video in this module, and it covers the basics of why you should create your own products and arguments on overcoming self-doubt. The one key thing I took away from this is that your product doesn’t have to be original. Instead it can be one of many similar products but with your own unique spin on it. That has certainly been an obstacle in my own product creation. The section covers finding a niche market to create a product for. It includes ideas on how to find problems in the niche market, and also how to check to see if the market is profitable or not. This module covers further idea generation, using ClickBank as a source. By examining existing products and sales pages to glean ideas about what they are doing and importantly what they are not doing. Here you will find information on overcoming barriers, and identifying fears and objections. There is also further training on using Amazon and the Warrior Forum for research. Idea Profit Storm is not a scam; you do get some value for your money. However I found that for the price of the product, its actual value wasn’t that great. It felt like a few of the videos overlapped and it could have been pared down. The information within the videos was for the most part nothing new, although there were some points that were interesting and may not have been covered elsewhere. As a product that is a starter guide to doing market research it covers most aspects but it felt like it was missing a lot of detail. Perhaps the feeling of “nothing new” is because I am already a marketer with a fairly broad knowledge of the industry, or perhaps it’s just down to this being a thin product: I simply can’t decide which. As such this might be suitable for someone who is quite new to internet marketing but wants to break free of promoting others products already, but existing marketers might not find anything of value here.